Especially for the upcoming Cool Crochet Workshop in Marrakech in October, I designed a small crochet project for the first day. 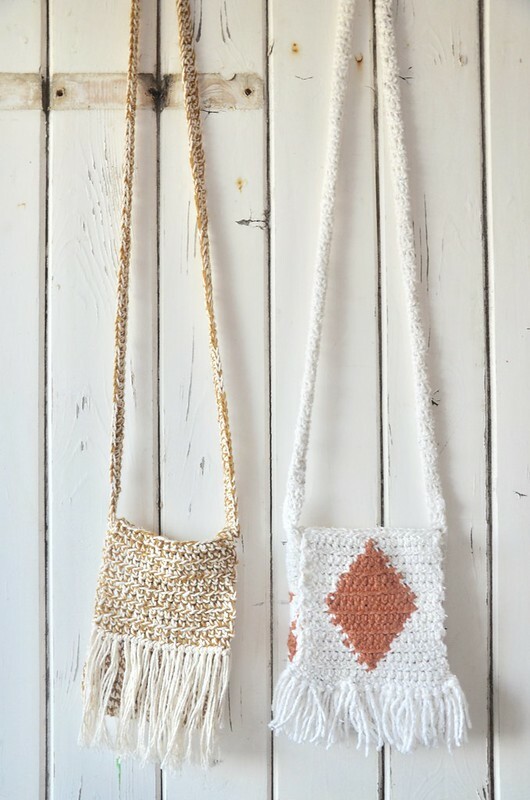 A cross-body bag in two different versions, made with Moroccan cotton and wool from the Medina. 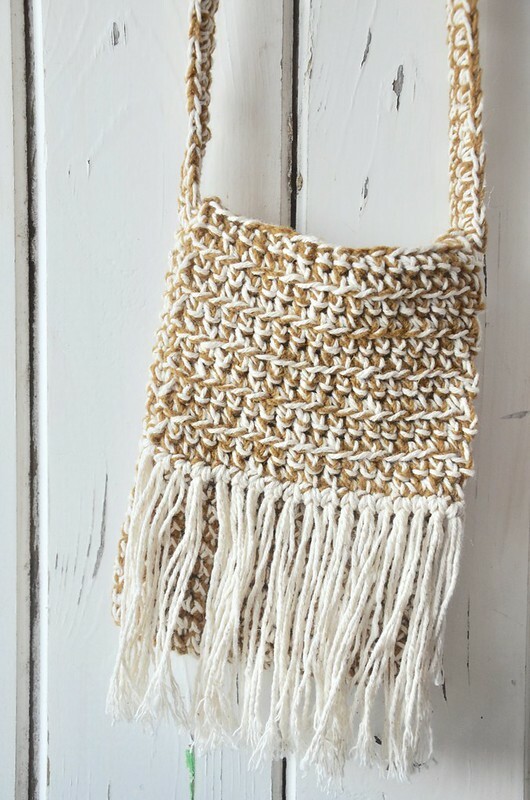 Small, but not too small, with a shoulder strap and fringes. 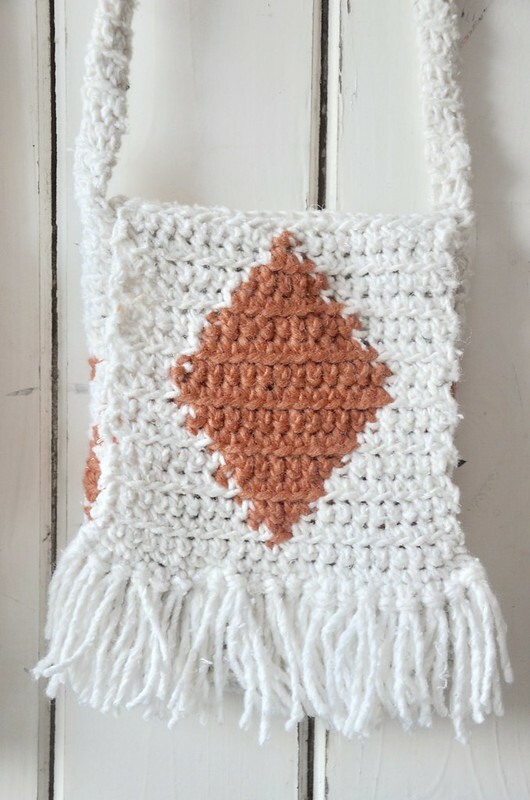 For each workshop, I try to design at least one new item and a new crochet technique. It's always the trick to create a day project that can be done in a few hours. Furthermore I like it when everyone has the possibility to add something personal to the design, besides the use of color. These two shoulder bags I've made recently and I use them almost daily. Ingrid Hello these bags are adorable!